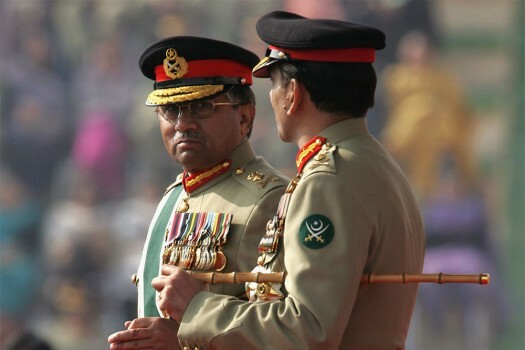 President Pervez Musharraf (L) speaks with the new Pakistani army chief Gen. Ashfaq Kayani (C) at a change of command ceremony November 28, 2007 in Rawalpindi, Pakistan. 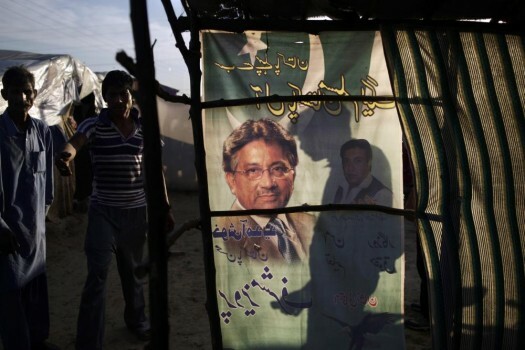 Supporters of Pervez Musharraf gather outside a military hospital where he is admitted in Rawalpindi, Pakistan. 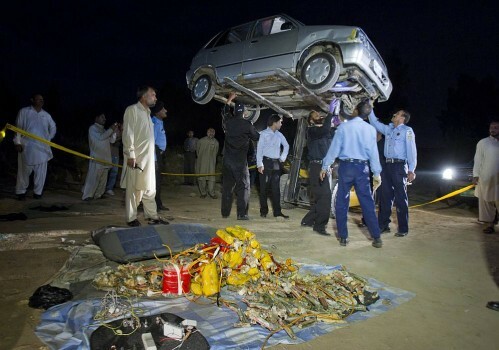 Pakistani police officers and explosive experts examine the explosive laden car which was parked outside Pervez Musharraf's farm house. 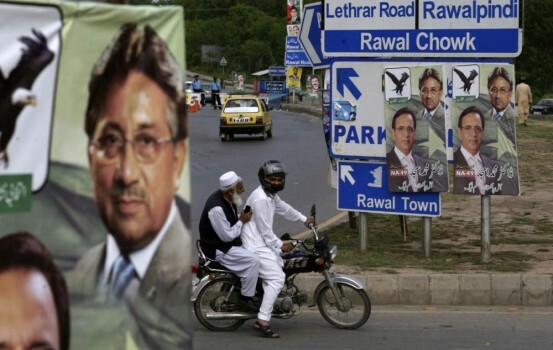 Pakistani men ride a motorcycle past posters showing former President and military ruler Pervez Musharraf, in Islamabad, Pakistan. 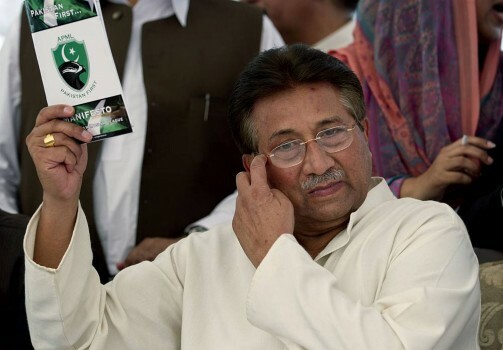 Pakistan's former President and military ruler Pervez Musharraf arrives to present party manifesto leaflets to candidates at his residence in Islamabad, Pakistan. 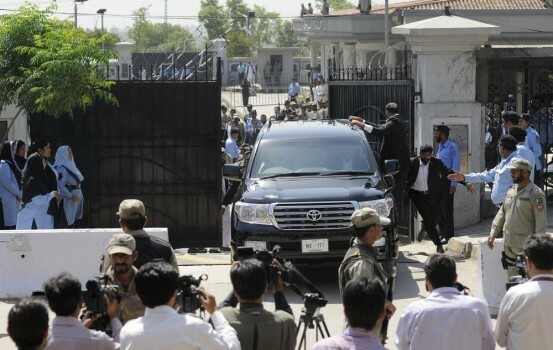 Pakistan's former president and military ruler Pervez Musharraf, center, leaves the High Court building in Islamabad, Pakistan. 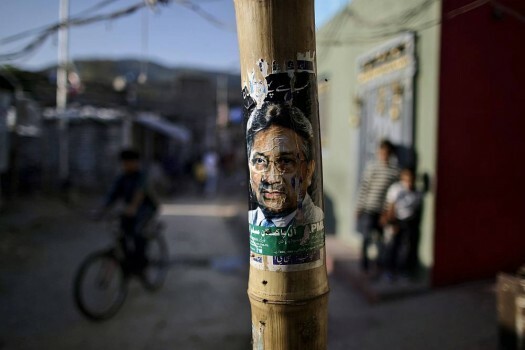 A poster of former Pakistani President Pervez Musharraf is placed on a pole in a neighborhood in Islamabad, Pakistan. 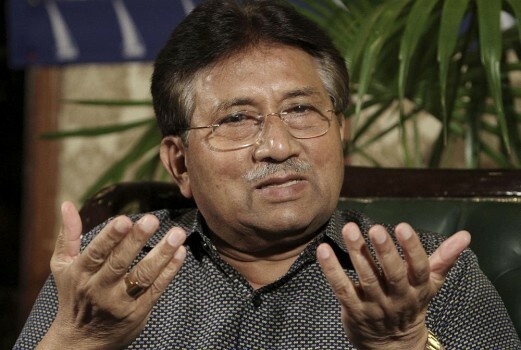 Former Pakistani President Pervez Musharraf, speaks during a press conference in Karachi, Pakistan. 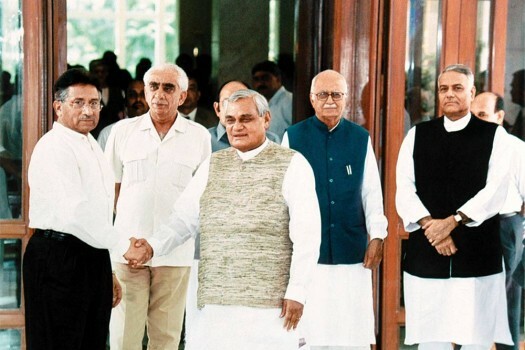 The former president's comment comes on the heels of Pulwama terror attack that killed 40 CRPF personnel in Jammu and Kashmir's Pulwama after a Pakistan-sponsored JeM terrorist rammed an IED-laden vehicle into a convoy of the security forces. 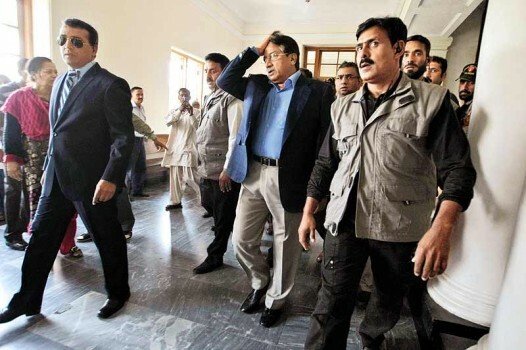 General (retd) Musharraf, 75, was Pakistan's president between 2001 and 2008, before resigning to avoid impeachment. 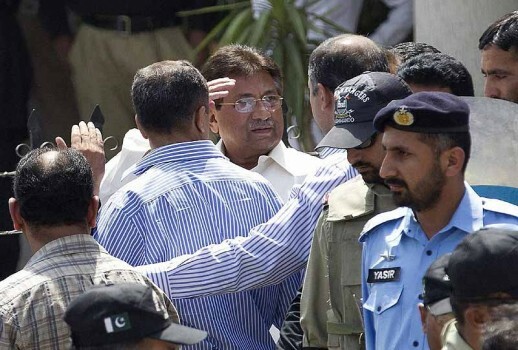 Pakistan Cheif Justice directed the Dubai-based former dictator Musharraf to appear before the apex court to record his statement in the treason case against him. 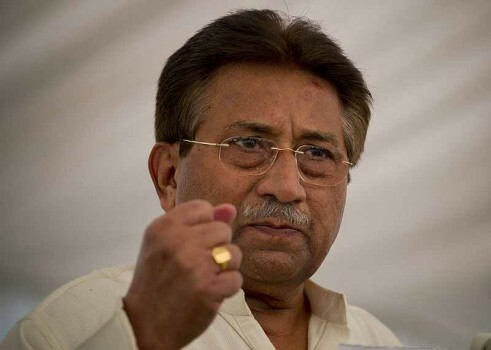 Musharraf claimed that a four-point initiation of peace was strategised by the former president and was put in implementation by the leadership of both countries. This statement has come almost a month after he claimed he was the biggest supporter of the two parties. 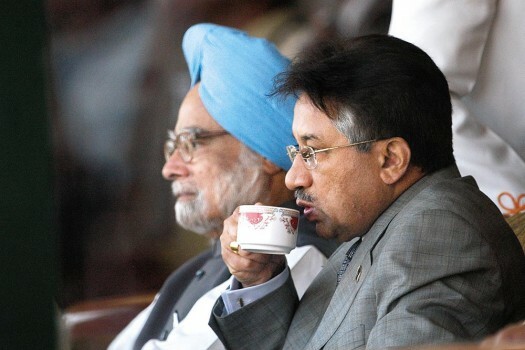 The one person who immediately understood what Gen. Musharraf was trying was Rajya Sabha MP Maulana Mahmood Madani. 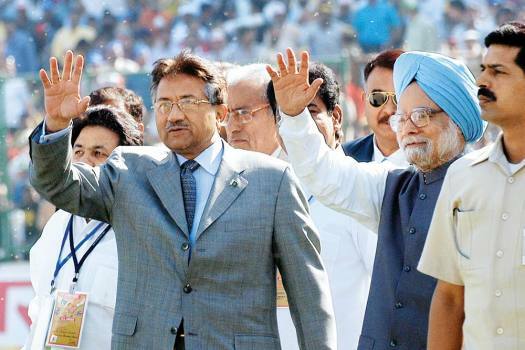 And he was quite forthright when he said that the general was beginning his career in Pakistani politics in India. 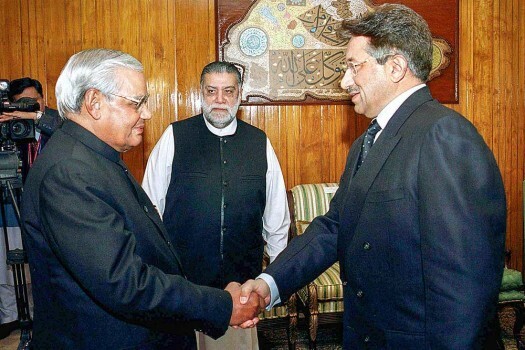 Mr Musharraf was livid with rage when the maulana proceeded to tell the general that his gratuitous advice about how to handle problems was not only not needed, it was detrimental to Muslims in India, where the majority had defended them. 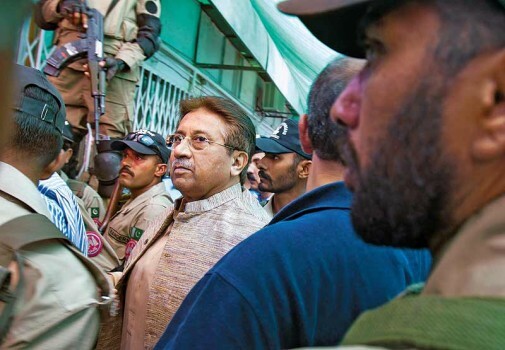 A flustered, angry and truculent Gen. Musharraf then accused the maulana of hypocrisy. 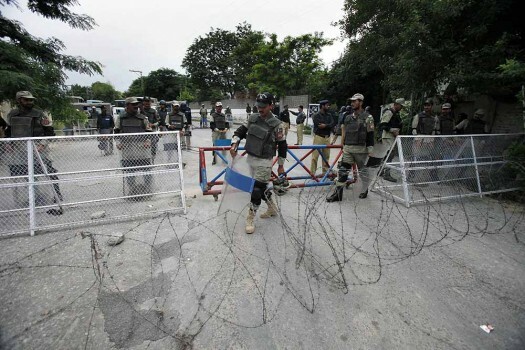 Yet the general’s Army and its terrorist surrogates have killed more Muslims in Pakistan, India, Bangladesh and Afghanistan than any other country anywhere else in the world. 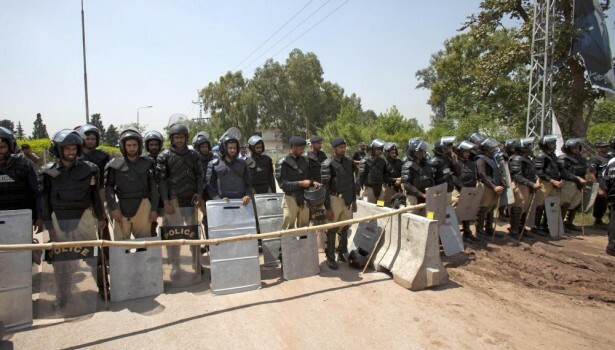 And since it is still a work-in-progress, Pakistan has ceased to have the right to call itself a "defender of the faith" a long time ago. 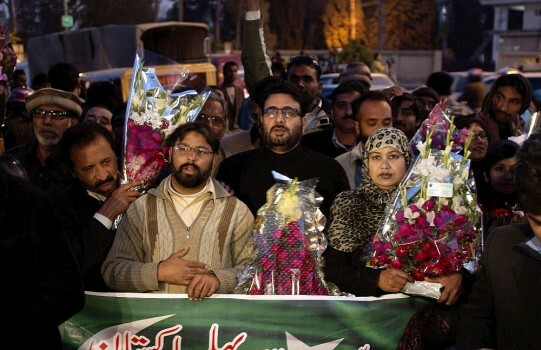 "Whoever works actively against the welfare of Pakistan is against the country and should be killed,"